Brand New Home Completed! 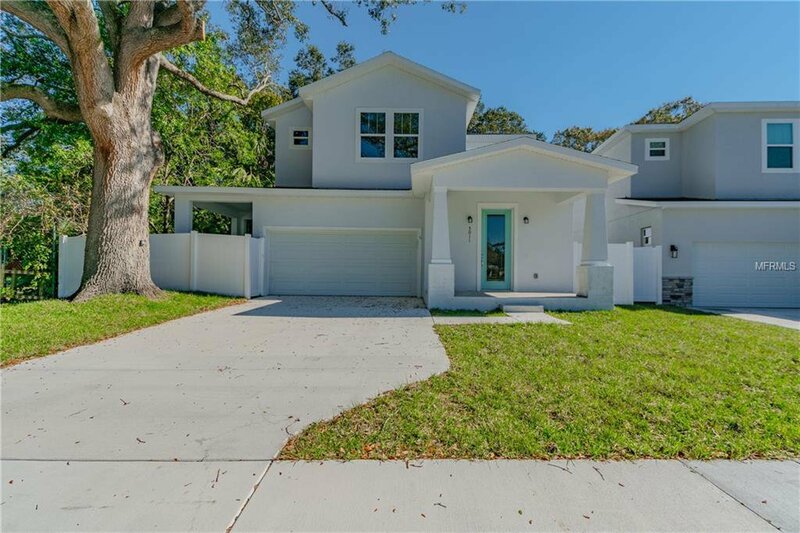 This captivating 4 bed, 2 1/2 Bath, 2 Car Garage Home comes with a 10 year Structural Warranty and 1 year labor warranty. Luxurious layout with an open concept living room, dining room, and kitchen. Kitchen has soft-close cabinets, quartzite counter tops, stainless steel appliances, island and closet pantry. Home is complimented with 3 guest bedrooms, 1 1/2 guest bathrooms and the master suite. Master bathroom is impeccable with a large walk in closet, dual sinks, shower with separate tub, sleek tile floors, sleek tile shower, glass shower door and a separate toilet room. Both front and back yards are landscaped beautifully. Don't miss out on this lovely home! Listing courtesy of DIRECT EXPRESS REALTY. Selling Office: KELLER WILLIAMS ST PETE REALTY.